Designed by Ann E. Smith. 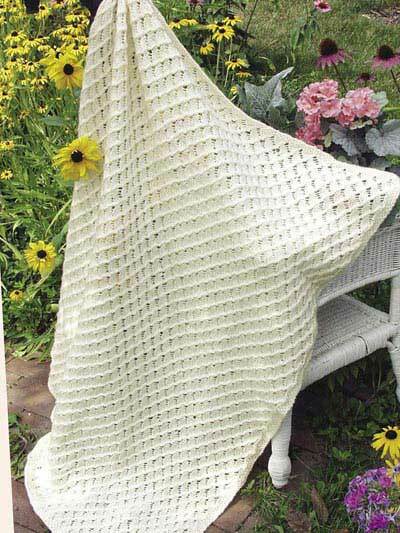 Slip stitches and lace create a lovely throw! Afghan size: 47 x 57 inches (appx).